Sen. Rand Paul (R-Ky.) lashed out at the “deep state” Tuesday for excluding him and other senators from a briefing with CIA Director Gina Haspel on the killing of Jamal Khashoggi. The briefing was limited to a select group of lawmakers, including leaders of the Senate’s Armed Services Committee, Foreign Relations Committee and Intelligence Committee. The meeting comes after bipartisan outrage that Haspel didn’t attend an administration briefing for senators last week on Khashoggi’s killing, which took place at the Saudi Arabian Consulate in Turkey earlier this year. Haspel was also sent to Capitol Hill as part of a bid to stave off a Senate vote on whether to pull U.S. support for Saudi-backed forces in Yemen. Paul said that the exclusion of most senators was undemocratic and that Haspel should have testified before all senators. “There are eight people in Congress who get briefings on intelligence,” Paul said. “That is not democracy. That is not democratic representation nor is it democratic oversight. Paul added that he only heard about the meeting from media reports. “I think the very definition of the deep state is when the intelligence communities withhold information from Congress,” he said. FBI investigators have confirmed 34 killings described by Little so far, with many more cases pending. 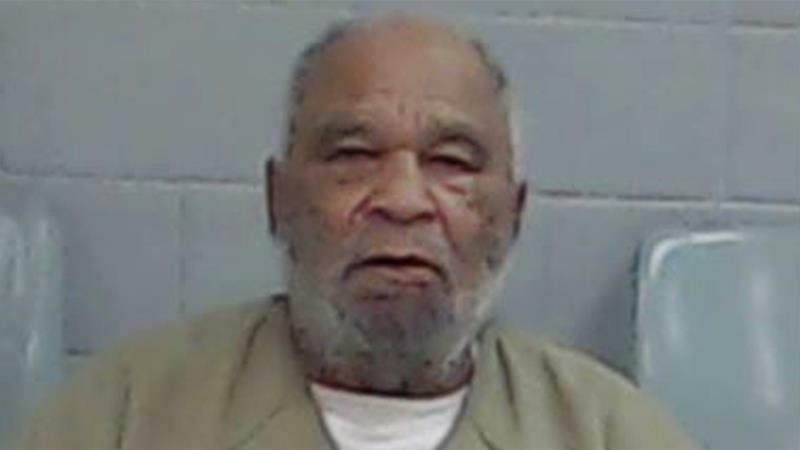 A 78-year-old convicted serial killed has confessed to committing 90 murders in the United States over several decades, the FBI said this week. The agency said on Tuesday it is working with state and local agents and detectives to determine if all Samuel Little’s confessions are true. Little began confessing to the crimes after he lost an appeal last spring to the life sentences he is serving for strangling three women between 1987 and 1989 in California. He was convicted of those murders in 2014. “In all three cases, the women had been beaten and then strangled, their bodies dumped in an alley, a dumpster, and a garage,” the FBI said. Authorities suspect the unsolved homicides Little said he committed took place between 1970 and 2005 and spanned across at least 14 states stretching from California to Maryland. FBI investigators have so far confirmed 34 killings described by Little, with many more cases pending. The Georgia native has been in custody since 2012, the FBI said. Little is said to be one of the most prolific serial killers in US history. PRESIDENT TRUMP on Tuesday confirmed what his administration has been signaling all along: It will stand behind Saudi Crown Prince Mohammed bin Salman even if he ordered the brutal murder and dismemberment of journalist Jamal Khashoggi. 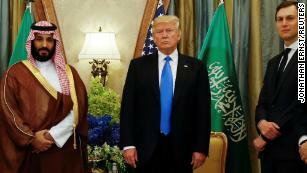 In a crude statement punctuated with exclamation points, Mr. Trump sidestepped a CIA finding that the crown prince was behind the killing; casually slandered Mr. Khashoggi, who was one of the Arab world’s most distinguished journalists; and repeated gross falsehoods and exaggerations about the benefits of the U.S. alliance with the kingdom. Mr. Trump has betrayed American values in service to what already was a bad bet on the 33-year-old prince. As with Russian President Vladi­mir Putin’s interference in the 2016 election, Mr. Trump is justifying his affinity for a brutal and reckless leader by disregarding the findings of the U.S. intelligence community. The Post reported Friday that the CIA has concluded with “high confidence” — a rating it does not apply lightly — that Mohammed bin Salman ordered the murder of Mr. Khashoggi, who while living in self-imposed exile in Virginia, wrote columns for The Post that were moderately critical of the crown prince. In fact, the truth about Mr. Khashoggi’s death is not only knowable but largely known. Audio recordings in the CIA’s possession record his actual killing as well as phone calls from the hit team to Mohammed bin Salman’s close aides. 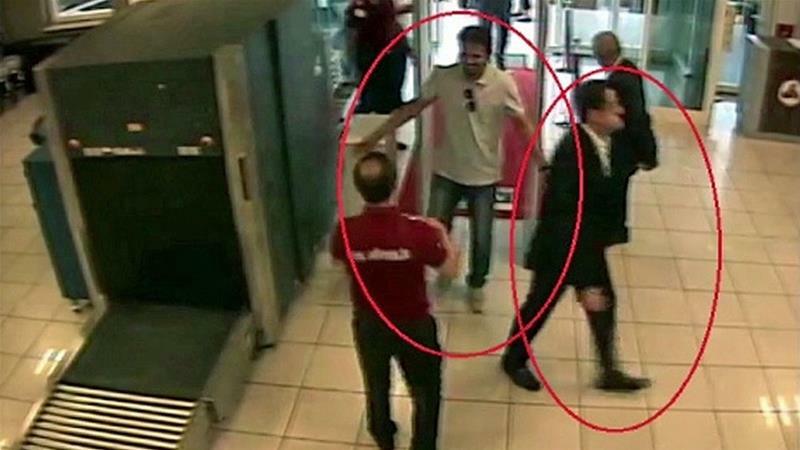 Five members of the team have been identified as probable members of the crown prince’s personal security team. While discounting these facts, Mr. Trump bases his continued backing for the regime on false claims, including his thoroughly debunked boast that Saudi Arabia will “spend and invest $450 billion” in the United States. He says the kingdom has “been very responsive to my requests to keeping oil prices at reasonable levels,” though Riyadh is reportedly preparing to cut production to raise prices. Worst of all, Mr. Trump libels Mr. Khashoggi, saying that “representatives of Saudi Arabia” had called him an “enemy of the state” and a member of the Muslim Brotherhood. The crown prince did make those allegations in a phone call to the White House — but the regime itself was so embarrassed when The Post reported on the call that it denied making them. 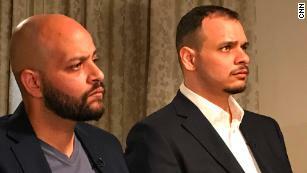 Mr. Khashoggi’s family has confirmed that he was not a member of the Brotherhood. Mr. Trump concluded his statement by inviting Congress “to go in a different direction.” As in the Russia case, it must do so. Bipartisan legislation mandating sanctions for all those implicated in Mr. Khashoggi’s death is pending in the Senate Foreign Relations Committee. Chairman Bob Corker (R-Tenn.) last week gave us a statement indicating he wanted to know “what more would be done” by the administration before Congress responded. Now he knows. If Mohammed bin Salman is to be held accountable, as Mr. Corker said he must, the committee must act. The alternative is a world where dictators know they can murder their critics and suffer no consequences. The president puts blind faith in dictators twice in one Fox News interview. Time and time again, President Donald Trump seems to side with dictators over his own intelligence community. Take the case of journalist Jamal Khashoggi, with the two most recent examples occurring during a Fox News interview that aired on Sunday. The New York Times reported on Friday that the CIA has concluded Saudi Crown Prince Mohammed bin Salman directly ordered the killing of Jamal Khashoggi inside the Saudi Consulate in Istanbul last month. Although the State Department subsequently released a statement trying to tamp down on the Times’s reporting, the CIA’s reported conclusion serves as the latest, strongest evidence that the crown prince lied to Trump when he repeatedly denied involvement in Khashoggi’s death. During an interview with Fox News that aired on Sunday, however, Trump indicated he doesn’t necessarily trust his intelligence community over the crown prince’s denials. 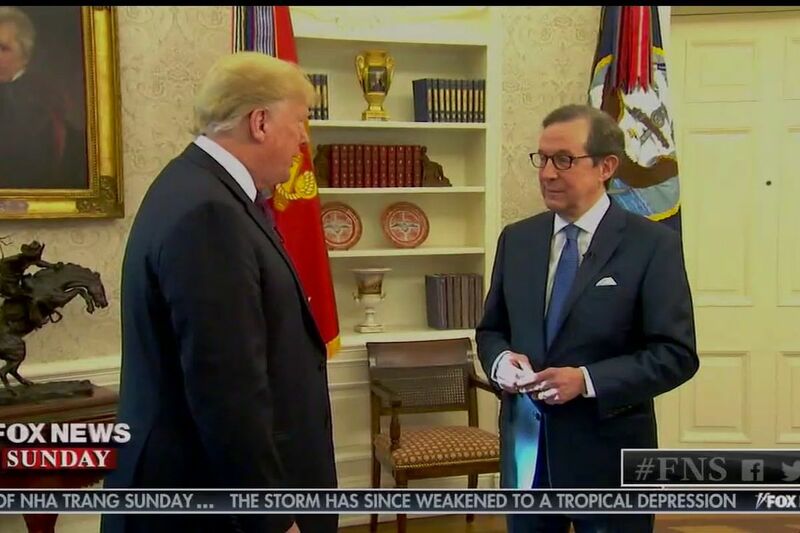 Asked by host Chris Wallace if he thinks the crown prince lied to him, Trump suggested nobody can really be sure about anything. Wallace interjected to press Trump, saying, “what if the crown prince, speaking to you, the president of the United States, directly lied to you?” But Trump indicated he’s not particularly bothered by that possibility. Trump’s comments about the crown prince weren’t the only time during the Fox News interview that he indicated he’s putting blind faith in a dictator. The president responded to reports North Korea is expanding its missile program by telling Wallace, “Maybe they are, maybe they’re not. I don’t believe that. Could be.” Moments earlier, Trump touted his “very good relationship” with North Korean dictator Kim Jong Un. Trump’s deference to Kim and the crown prince is reminiscent of the deference he’s shown Russian President Vladimir Putin, who denies meddling in the 2016 American presidential election despite the US intelligence community concluding otherwise. During his joint news conference with Putin in Helsinki in July, Trump drew an equivalence between Putin’s denials and the work of his own intelligence agencies.